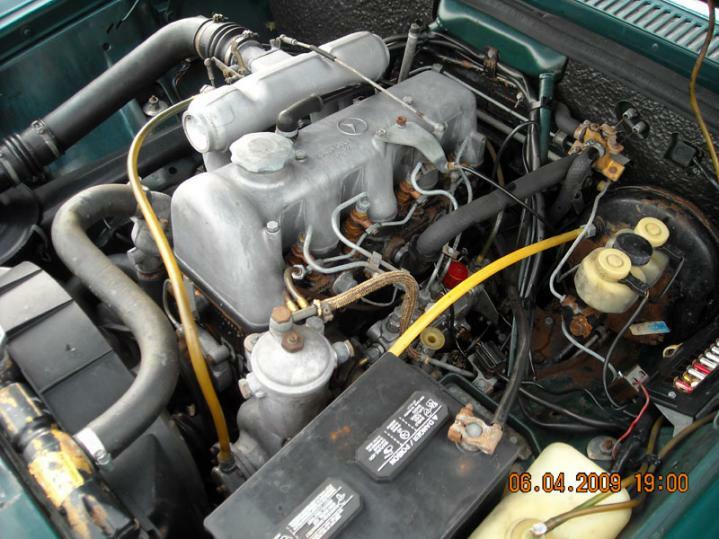 I want to clean out the TB on my 1971 220 Diesel. I know in a lot of the gas cars I have I can use the BG products Throttle body cleaner. Can I use this with a diesel? My thoughts are no, but I am hoping to learn. 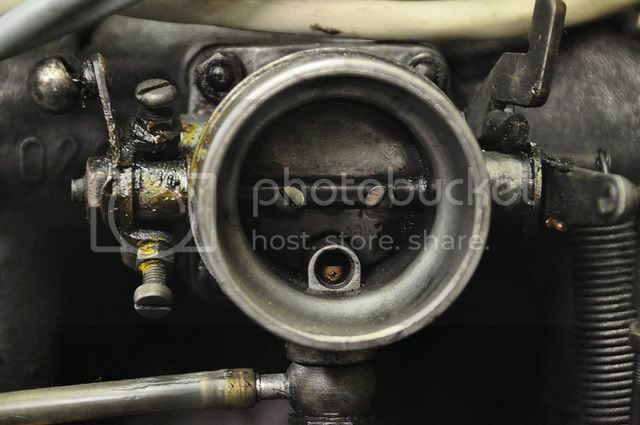 You do not have a Throttle Body (Injector?) on your Diesel Engine. If you are speaking of cleaning out your Injectors with a concentrated Chemical Cleaner see do a search for Diesel Purge. Doesn't that vintage 615/6 have something of a flap in the intake manifold? Throttle body cleaner should be fine but don't do it with the engine running. Can you remove the TB and clean it away from the engine? On Engines that have Pneumatic Governors on the Fuel Injection Pump there is a Butterfly Fly Valve in the Intake Manifold; used to create Vacuum in the Intake Manifold as it does in a Carburetor. If there is another name for that Part I do not know it. I suspect that a Can of Carburetor Cleaner sprayed on the pivot Points of the Butter Fly Valve would work to free it up. Last edited by Diesel911; 01-31-2012 at 08:22 PM. How does the butterfly valve get dirty? Does crankcase ventilation get into the intake before the butterfly valve? I can't tell from the picture but I don't see a junction between the air cleaner and intake manifold. It looks like the vacuum pump line is dirty at the intake manifold end. That's odd if air flows the other way. A Buttery Fly Valve huh...made me laugh. Trying it picture what that would look like. Not being critical, I am terrible with grammar and spelling errors. There is usually no need to clean the throttle, but if it is a bit sloppy or squeaking, you can take it apart, clean it with brake cleaner and grease the joints and moving parts afterwards when putting it together. Clean out the banjo bolt at the bottom too. The two screws on the left control the idle and max speed. If you don't have a tachometer, don't touch them or mark them so that you can put them back in the same position. Don't start the engine with the air hose from the throttle body disconnected, your engine will run to maximum rpm. The throttle body should be dry before starting the engine, diesels don't like to run on cleaner. Thanks, I went back and corrected it. I had to take a hard look because the Spell Check did not catch it as the word itself was correct. Just one of my imperfections showing up! I have the original oil bath air filter, over time some oil has worked up there. Just wanting to clean it up some.